CALLING ALL BOBA MILK TEA LOVERS! 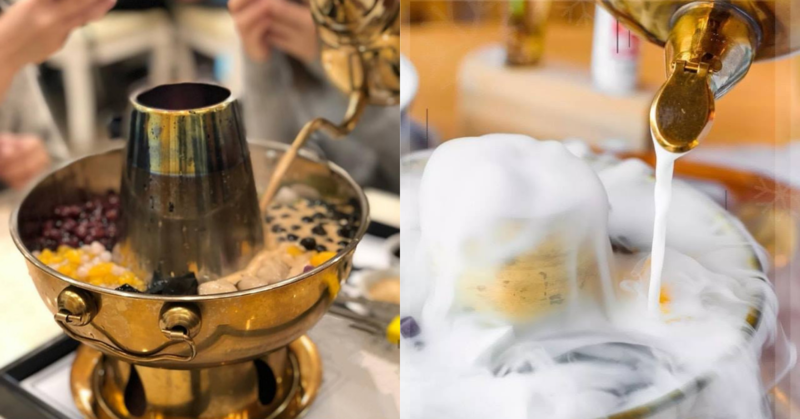 Malaysia’s first bubble milk tea hot pot is here and we are so excited! It’s got everything that you need in your everyday-milk tea drink. Black pearls, tapioca balls, grass jelly and taro balls and so much more. And you have a choice to choose from fresh milk or milk-tea base for your hot pot. So goodbye to ordinary tom-yums and chicken broths (still equally delicious, by the way)! This new and delicious hot pot can serve up to 3 people, something this good just can’t be shared alone right?! And where can you find it, you ask? It’s at Galaxy Tea Bar in Georgetown, Penang! So for those of you in KL, get planning on that road-trip! And check out their Facebook page here, for more info! All images (incl. header) are from their Facebook page.